This screen saver contains 20 images of the beautiful Spiny Softshell turtle (Apalone spinifera). Spiny softshell turtles are strong carnivores, preferring crayfish, snails, mussels, frogs and assorted worms and insects. 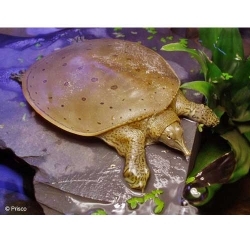 They live in mud or sand-bottomed lakes, ponds or slow moving streams.